No doubt about it – the Kia Carnival is a people-mover of the sort that Aussies like, a fact that can be shown by the numbers attesting to its status as the most popular minivan Down Under. Several reasons can be named for it – price, versatility, and good handling included. The big punch from the V6 engine certainly adds to its cause, so to speak. The Carnival’s box design will not win any design awards for it especially in the face of competition from European and American car manufacturers. But let’s face it – the Carnival has better design than many of its Korean counterparts. Its lines from tail to front as well as its lights are sleeker while its overall impression is slimmer, thus, giving the Carnival a more appealing exterior. It’s boxy design works to its benefit, too, in the exteriors. Big sliding doors provide good access to the interiors, which has plenty of room coupled with comfortable and flexible seating arrangement. 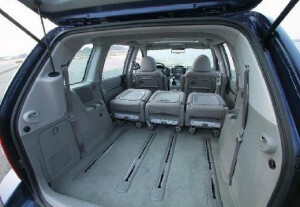 The Si entry-level model offers a 2-3-3 seating layout – that’s 8 persons – in one go. The lap-only belts for the passengers in the centre rear for the second and third rows is a design flaw that should be addressed by Kia. Safety is paramount in a people-mover but unless you drive well over the speed limit on all roads, this will suffice. The most popular people-mover also moves the things that come along for the ride with the passengers. Just remove the second row and fold the third rows for more space but even when all 8 seats are occupied, space for cargo should not be a problem – unless you’re moving house, of course. Highlights of the design include power-adjustable exterior mirrors – heated, too – cruise control, remote central locking system, power windows, front and rear air-conditioning, and USB/3.5mm audio inputs to blast out music from the six-speaker 6CD sound system. Under the hood, the Kia Grand Carnival has undergone changes that many fans will love although a few critics have also questioned the wisdom behind it. The 3.8-litre engine has been replaced by the 3.5-litre V6 engine, which offer 10kW more at 202kW but the torque has dropped from 343Nm to 336Nm; the drop in torque means that the Carnival complies with stricter regulations on Euro IV emissions. Fuel use has also dropped, which is good news, by 1.9 litres to its current 10.9 litres per 100 kilometres. If that’s still not so frugal in your eyes, then you have the option of buying the 2.9-litre turbodiesel 4-cylinder version with 136kW, 343Nm, and 8.5 litres per 100 kilometres on the gauge. While changes have been made, many more features have remained according to industry standards. Anti-lock brakes equipped with brake assist and brakeforce distribution as well as stability and traction control are present. The airbags are located on the front, side and curtain but the lack of rear parking sensors and reversing camera on the base model should be addressed by the manufacturer considering the uses of the Kia Carnival. The driving dynamics are to be expected, which means to say that first-rate dynamics should not be expected from a box on 16-inch wheels. Just remember that the accelerator is too sharp for the vehicle so caution is advised when stepping on it. 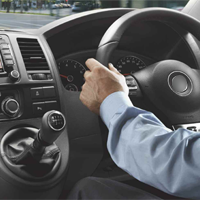 View our 7 seater cars overview here.